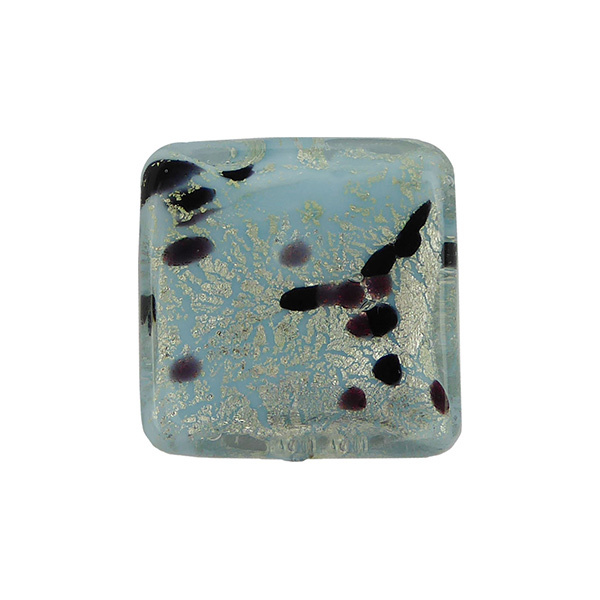 A vibrantly sparkling 16mm square Venetian bead with a jewel-like appearance. 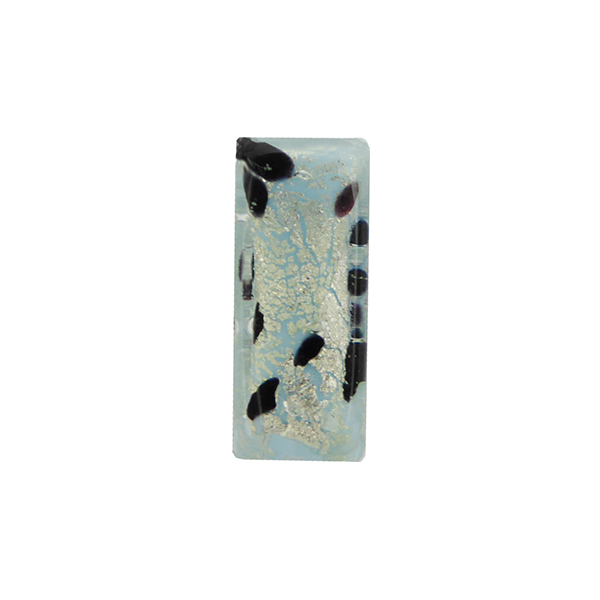 These beads are the creation of one of our best bead makers who simply mixed together a base of opaque turquoise wrapped in cracked White Gold Foil and then entirely in the Clear Murano Glass. Approximately 16mm x 16mm x 8mm. These make great earrings!